I haven't figured out a good way to store and display my ATCs. I thought that I would make some kind of hanging display using a black fabric and vinyl see-through pockets. But I haven't had the time to do this. I still may. But in the meantime, I picked up this baseball display frame at Michael's on 50% off. I struggled to get some of the ATCs in the display because of the thickness of some of the cards. The cards with buttons attached just won't fit at all under the plastic holders, but they fit nicely in the display itself. It works well enough that I got them out of the box and onto my wall. I am "in" on creating ATCs. I have already hooked eight but need to go to JoAnn's to buy some printable fabric to make the back of the cards. What are ATCs? 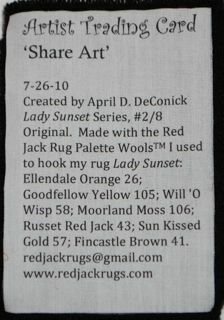 Artist Trading Cards. They are 2 1/2 by 3 1/2 inch pieces of original art that artists create and trade among themselves, building their own collections. They are not sold. The important note is that they have to be this exact size, or they won't fit into collection selves. They are created from whatever medium the artist works in. 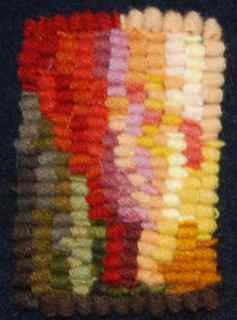 Here is a link to Art in my Pocket, a site all about ATCs. 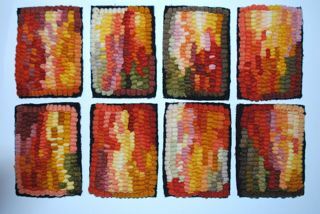 Rug Hooking Magazine ran an article about hooked ATCs by Kim Dubay this summer. An online version is HERE. 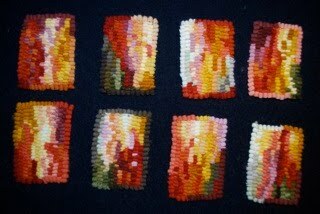 Rug Hooking Magazine is sponsoring a swap HERE; you can upload a photo of a card, send it to them, and they will send you a card in exchange. 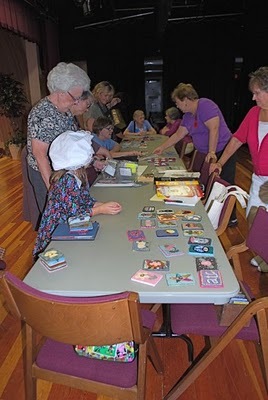 Martha Reynolds is holding a Region 9 swap. 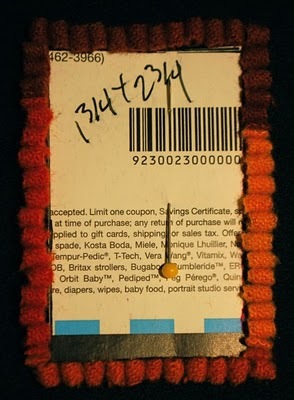 Contact her to swap at rugbug48@gmail.com. 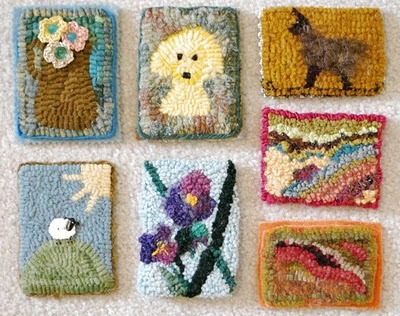 Today I put up a ATC Rug Hooking Swap on Rug Hooking Daily HERE. The idea will be that we will swap cards once a month in order to build our collections. I hope you will join the swap group and get word out that it exists. The more ruggers that join, the richer our swaps will become! When I finish labeling the backs of my cards, I will put up a loopgram post on how I went about creating my cards.